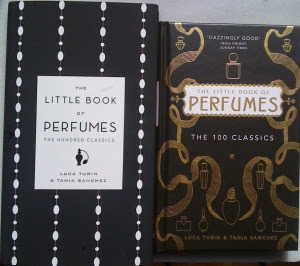 Although the material is largely taken from the previous Perfumes,The Guide (review here and a small practical note on all the different editions here), serving as a petite compendium or a Xmas gift to spark fun discussion over the course of wine & cheese among people who raise their eyebrows up to their paretial bone upon hearing you possess a "fragrance collection" ("say what, more than 5???? Why???? 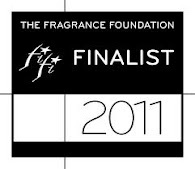 "), there is a difference: For several of those 96 reviews (more of which below) there is a small 2011 addendum, mostly by Sanchez, that chronicles the evolution that time and IFRA allergens & raw materials regulations have administered to these fragrances. And this is mainly the interest for those who already own a copy of the 2008 book: Staunchy perfume enthusiasts already know most of what's to know about reformulations and search the Net for info regularly. But those who're budding in the aficion will get a kick out of getting their sentiments that "something's not quite right in the frag they loved any more" validated. All is not bad news, though, in those addenda mentioned, even if heads at Dior almost collectively (and a couple of the PR contigency plan at Guerlain) must be cussing right & left most probably right about now (Well, not really, for the most part the authors proclaim the work rendered "as best as could be under the circumstances"). Some fragrances have in fact upgraded, if that's possible! I specifically mention 96 perfume reviews because 4 out of the 100 are hors catégorie, being reconstructions specifically for L'Osmothèque (thus making them unavailable for purchase). A couple of them featured in the "little book" are still resolutely discontinued (Yohji pour Homme and Le Feu d'Issey for instance or more recently L'Artisan's Vanilia) but hope dies last, in the Turin & Sanchez universe (And why not, I ask you? Fougère Royale 2010 AD I'm not looking at you, don't get any ideas in your silly head!). So what's left is 90+ reviews of things every perfume enthusiast (and not only) should note down to smell sometime. The new material includes a foreword by Tania Sanchez (written in good pace perfumista-style and ringing very true) and an essay on the Osmothèque by Luca Turin (in his trademark eloquent polemic, mixing music metaphors and similes which caress the cerebral cortex); there are four reviews of long-lost, beautiful Osmothèque perfumes the authors tested during a presentation on perfume by the brilliant Patricia de Nicolaï, curator of the Osmothèque, at the French Embassy in Washington, DC, organized by Smithsonian Associates. "We give you L’Origan, described by me by LT’s request, and Chypre de Coty, Emeraude and Iris Gris, described by LT at my request" clarifies Tania Sanchez. You might have noticed that that makes it roughly 35 "updates" (I excluded a couple, because of simply announcing news of "discontinuation" such as Theo Fennel's Scent or due to ambivalence) and I expect that might get book buyers pondificating the issue. Yet interestingly, there are some surprising results, especially for some perfume lovers who have been disappointed in certain notable classics lately (Shalimar, Cristalle) and can now be enthused anew. But I won't elaborate further; you have to check it out for yourselves! The US edition is on pre-order on this link. The UK edition is on pre-order on this link. Official date of release is October 31st 2011. That list of changed fragrances makes me want to cry a little. Thanks for the list! Looking forward to buying the book and reading their new comments. Some in the list seem (eg Chanel 5 and Diorella) had already been downgraded in the paperback, so I wonder if they have been further downgraded. Some other downgrades had been discussed extensively (Opium, Heure Bleue). And for some it'll be interesting to see if they refer to the parfum or edt, which are very different (CdR, Chamade). well, since you're reading here, you knew it was coming, didn't you? It does make the heart go sad when they're amassed though. I was hoping to see some releases since 2008 entering the new book, but it wasn't meant to be. they write in a flowing style, as you know, that is easy to follow and get engaged. Yes, good read. interesting questions, so for all concerned let me clarify. The LT/TS comments on those frags which are included in my list as "changed" means the 2011 bottles have been compared by the duo with their 2007 bottles and found them rather "lesser" (or changed in a way that might jolt perfume lovers out of their recognition zone; which is not necessarily always 100% detrimental, as they note out). 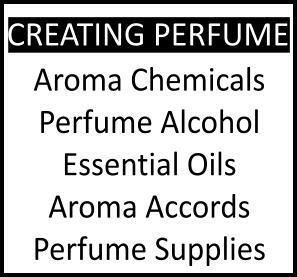 For instance they're favorable on the changes on No.5 based on what the perfumers can and can't do at present time; but changed a bit they proclaim it all the same! Some others which have been discussed among perfume aficionados extensively (LHB, Opium etc) are downgraded. In some cases there's a comment that "the new one isn't how the 2007 is described above" (example Le Troisieme Homme) which is a bit of raining on one's parade, but...it had to be done, I guess. In all reviews the lowest concentration available at the time of writing (so 99% of the time it's EDT) is taken as point of departure. That means that Angel EDT for instance is not reviewed because it hadn't launched at time of writing, plus they're not adding anything really. Only No.5 gets a slot as both edt and extrait de parfum! So CDR is edt and Chamade is also edt. There is one ambivalent 2011 addendum, hence I didn't include it in my list: Insensepour Homme by Givenchy is assumed to have changed for the worse, taking in stride Le 3eme Homme's downfall. But they obviously didn't get a sample bottle in the mail and therefore they remain mum on the issue apart from this conjecture (hoping to be proven wrong). The eau versus parfum could be important, because for many the two smell significantly different (CdR, as well as many Guerlains). But of course, there are so many things one can review. As for Insense, I've never been able to smell the reissue (whether in 2007 or 2011), since this doesn't appear to be found anywhere other than on the Givenchy's website, so I guess it almost qualifies as "discontinued" (and Givenchy III is pretty much the same on this front). do you know what is said of l'heure bleue? im planning on buy my first bottle. and would love to know what the opinion is of the new batch. thanks. I don't know what's in the book (and EV won't be quoting too much of it - after all, we need to buy it!). But Tania Sanchez was quoted somewhere (forgot where) saying "I wanted to cry? what have they done to my HB?". indeed! Good point! (Chanel and Guerlains do differ in their concentrations and in fact, one factoid I omitted above is that actually it's Isolence EDP that is singled out, not EDT, which is an exception to the general rule of "mentioning the lowest concentration" as per Tania's foreward). I suppose it wasn't technically feasible or there just weren't that much interest in covering EVERYTHING within the lines of those fragrances. Or they're saving on issuing a further little booklet or something. Who knows. The point is it's interesting to hear opinions on perfumes we love! Thanks Ann, welcome to the Shrine and hope you drop by often. cacio is right. I can't reveal too much because with little new material, afterwards what would be the interest of the buyer in actually buying it? thanks for providing further material on the LHB changes! thank you for all your responses. do you know where i can get a good version of the edp of LHB? 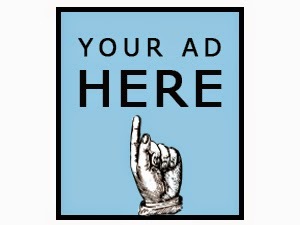 I think your best bet right now would be vintage auctionsn (online and in estate sales etc). The PdT is a particularly great!